Smoktech funnel for filling DCTanks. Simply remove the drip tip from the cartomizer in the DCT, insert the funnel and push cartomizer down till the holes in the bottom of the funnel show in the tank. 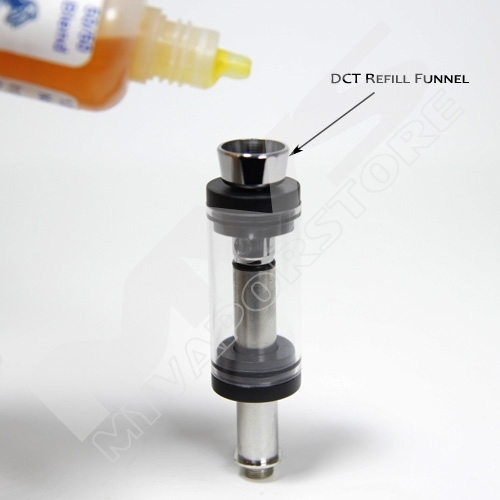 Just add liquid of your choice into the funnel for a clean, painless refill of your Smoktech DCT tank system. This item is not needed to fill a DCTank but it makes the task much easier. 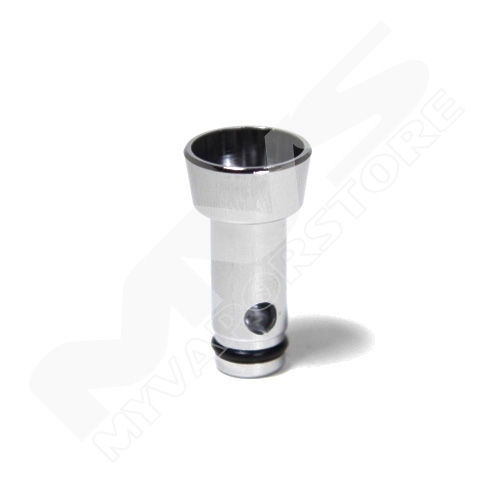 This funnel can be used with 3.5ml or 6ml Pro DCTank, DCTank and UDCTank. Absolutely impressed with this company! Prices were great and my order went out immediately and I received it right away. Will be ordering again! I didn't buy a funnel right away when I bought my carto tank. I learned the hard way that a refill funnel makes filling carto tanks so much easier. Better off getting a 5ml syringe.